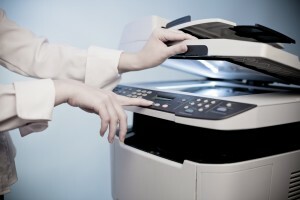 We are sure you know this, but it is illegal to photocopy music. This is true even if your choir is small, a charity or a social, just for fun, choir. It is also true for choirs that learn by rote. It’s a serious matter. An illegal copy deprives the composer of the music of the chance to earn income from his/her creative work. Without this income, composing will stop and quality music will not be available. Also, the publisher is deprived of the opportunity to recoup the investment made in the production of the printed edition and is unable to monitor the use and popularity of a particular edition. Below is a link to the page on the MPA website with a fuller explanation. http://www.mpaonline.org.uk/content/can-i-photocopy-printed-music If you are concerned about illegal photocopying of music contact the MPA immediately on +44 (0)20 3741 3800.